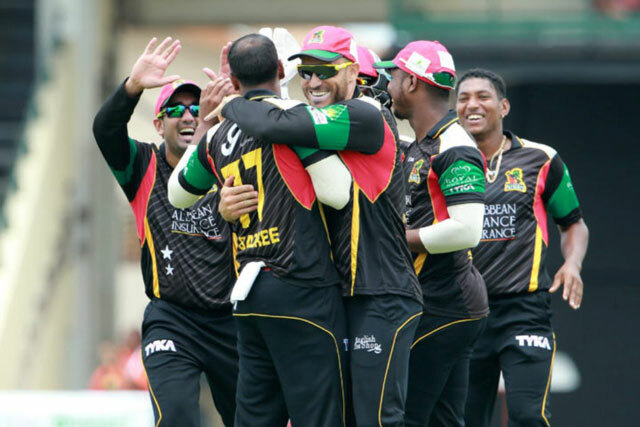 Basseterre, St. Kitts, August 11, 2016 (SKNIS): Though the St. Kitts and Nevis Patriots Cricket Team did not perform as expected during the 2016 Hero Caribbean Premier League (CPL) T20 tournament, they continue to support a number of local organizations. Speaking on the August 10th edition of “Working for You”, the Honourable Shawn Richards, Deputy Prime Minister and Minister of Sports, said that the Government and the Patriots will be working closely with each other. The Deputy Prime Minister noted that the team also supported security forces, as well as a number of other Government organizations. On a different note, the Minister of Sports said that in spite of the inclement weather for the semifinals on Thursday, August 04 and Friday, August 05, the games were still successful. Minister Richards made mention of the economic impact assessment report from CPL for 2016 that is yet to be completed and presented to the Government. He said that it would have significantly impacted the economy. “It is only logical that one would expect to see a greater impact on the economy coming out of these last set of games and that report hopefully will be received at some point in time from the authorities of CPL,” said the Sports Minister, while adding that this would have tied into the factors that Government considered in making the determination to host the games in St. Kitts and Nevis. The franchise, which was eventually named the St. Kitts and Nevis Patriots, was purchased in January 2015 by Uday Nayak, Chairman, Mohammed Ansari, Co-owner and Nirvan Veerasamy, Co–owner. Their love for cricket and St. Kitts and Nevis made it a perfect opportunity to bring the Federation its first professional franchise team.